At some point in a life well spent, we may consider the future and think about how the fruits of our labor can continue to help others.  A planned gift to The Arc San Francisco is a gift from the heart, ensuring that the services we provide to our clients are protected and create a future with more opportunities for people with developmental disabilities to achieve their highest potential. Our Heart of The Arc Society can help you plan for the future and security of your loved ones while offering you numerous options to support our work in a way that meets both your financial and charitable goals. Meet some Heart of The Arc Society Members — all with different, personal reasons to remember The Arc in their estate plans. 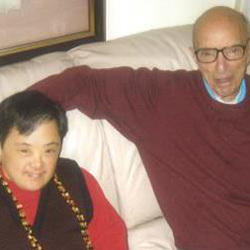 Walt was an early advocate for people with developmental disabilities, and was involved in the founding of The Arc SF. Walt not only advocated for his daughter, Anne, but for all the clients of The Arc SF, and was a member of the Area Board 5 for many years. It was only natural that he wanted his legacy to live on through a legacy bequest, to benefit not only Anne, but her friends and peers who are clients of The Arc SF, and future Arc clients as well. Barbara's son, Gary, was an adult with developmental disabilities who lived his life to the fullest extent possible. 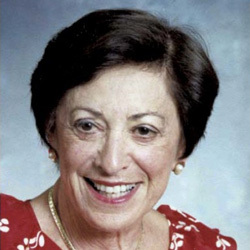 When Barbara passed away, she honored his legacy by making a significant bequest to The Arc San Francisco to create an endowment fund that supports other young adults with developmental disabilities to live as independently as possible. Today, more than 70 Arc clients are supported in our Residential Services thanks to the Shupin Fund. Josephine was a long-time generous supporter of The Arc San Francisco, among other charities. When she passed away at the age of 100, her family requested that memorial contributions be directed to The Arc San Francisco's Marin office, and made a significant tribute gift in her honor. The Arc's Marin office is named The Michael Stern Haas Center in memory of Jody's son.